» Home » 2012 » April » 11 » Paper can speak! This video is a speech made by Kelli Anderson about her experience, work, and goals as a modern designer. She believes that people often confine the regular but do not explore other possibilities. She believes that the world is full of order, logic, and justice, which may at times do not deserve our attention. In fact, these things actually impede us from being creative. Kelli has spent her last couple of years innovating different uses of everyday objects. She designs things that challenge reality. 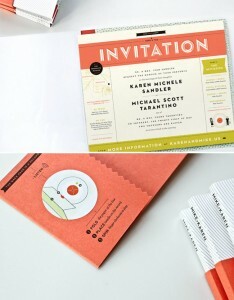 Recently, she created a wedding invitational card out of paper, to mimic the functions of an old record player. The user simply has to spin the paper wheel and the audio sound can easily be heard. Kelli works as a consultant to different companies to revamp their color scheme, visuals, and packaging. Her talent in translating color into emotions has helped a lot of companies maximize their marketing strategies. When one thinks of innovative design, their thoughts tend to focus on the big picture, perhaps a complicated whirlwind of technology. Apple’s innovation, for example, has transformed the “cell phone” – its function is no longer for the sole purpose of making calls. Appropriately termed “super phones”, Iphones have now taken over numerous platforms, including and not limited to a virtual access to novels, magazines, credit cards, and trading. Indeed, this stems from innovative technology advancement. 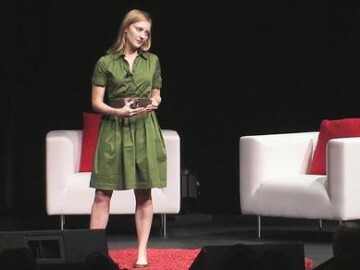 However, it is important to remember that innovation and design exists in our everyday lives, where inspirational ideas can be birthed from the simplest objects and observations– this is the point Kelli makes in the video, a simple idea of “new design” – introducing a new feature, a new aspect to instruments, materials and objects that transform them completely. 1. Household utensils are silent – can they speak? 2. Walls are still and have stationary colors- can they change (without being painted)? 3. Binders hold paper- can they hold other things…like 4 GB of memory? Comment with some of your own ideas!